For many organisations, 2011 brought with it the need for a new five-year organisational strategy. ActionAid commissioned me to edit and write an introductory leaflet for their strategy. 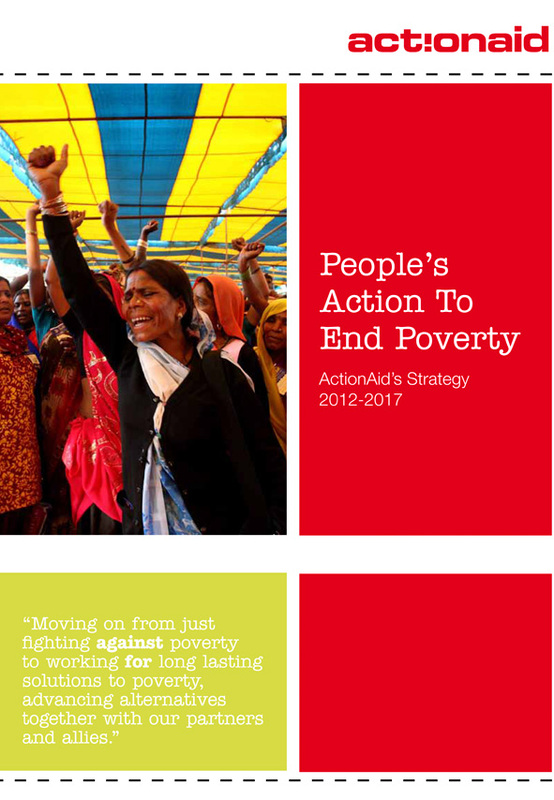 To edit ActionAid’s 28-page ‘People’s Action to End Poverty’ strategy to make it more compelling, inspirational and easy-to-understand for staff, funders, governments and supporters. I also wrote a six-page leaflet summarising the strategy, to make it more accessible for these audiences. Two publications ActionAid can use to inspire and excite their staff, supporters and funders about their work. Get my FREE 20 top tips on charity copywriting report now, and FREE advice in my newsletter every month. Sign up to my mailing list today! Copyright © 2012 Jennifer Campbell. All rights reserved.